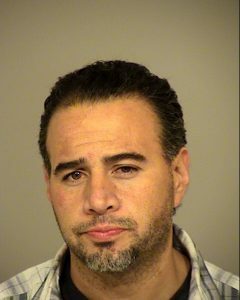 On 02/07/2019, Detectives from the Ventura County Sheriff’s West County Narcotic Street Team concluded a narcotic investigation into Santa Paula resident Alejandro Oviedo who has been involved in the sales of methamphetamine and heroin to residents of Ventura County. The West County Street Team was assisted by personnel from the California National Guard’s Counter Drug Task Force. At approximately 3:30 pm, detectives detained Oviedo in front of his residence located in the 300 Block of Citrus Street in the city of Santa Paula. Detectives then executed a narcotic search warrant at Oviedo’s residence which also included his vehicles and person. 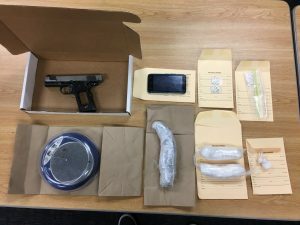 During the search of the residence detectives located and seized approximately 12 ounces of suspected heroin, 8 ounces of suspected methamphetamine, suspected MDMA (Ecstacy) pills, along with paraphernalia indicative of narcotics sales. Additionally, a non-functioning handgun was also seized from Oviedo’s room. Oviedo was booked at the Ventura County Main Jail for possession methamphetamine and heroin for the purposes of sales. His bail was set at $350,000 and his next scheduled court appearance is set for 2/11/19 at 1:30 pm in Court Room 14. The West County Street Team is comprised of Narcotic Detectives from the Ventura County Sheriff’s Office, the Oxnard Police Department, and the Port Hueneme Police Department.